Great cookbooks bear the marks of passionate cooking: splotches of batter, smears of butter, dark chocolate stains. My recipe packet from the French Pastry School is so splattered that it takes it to a whole new level. I’ve been walking around for days, cradling it lovingly like a Bible, but a little daunted to dive into cooking with it at home. Who can resist a scone hot of the oven with blueberries bursting in your mouth? The orderly world of the French Pastry School couldn’t be more different than the chaos of my home kitchen. All of our ingredients were ready and labeled for us on trays before we began cooking. 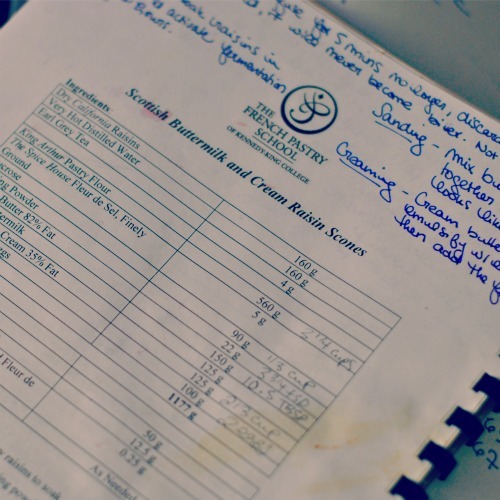 All recipe components were listed in grams, not volume, and the final product was weighed again so that we could create same sized lumps of dough for even baking. I loved the chemistry of it all, and the preciseness of the ingredients because it is such a far cry from my normal cooking style. I’m a pinch here and a dash there kind of girl. Today I finally dove into the French Pastry School recipes. Instead of diving in to the deep end with macarons and baguettes, I began with an easy recipe for scones. Right out of the gate, I had to make some substitutions. Lacking buttermilk, I threw in some sour cream. I rebelled and didn’t weight the pinch of salt. And I threw in fresh blueberries, then spontaneously split the batch into three to accommodate requests from the kids, making chocolate chip scones, tea scented raisin scones, and fresh blueberry scones from one batch. Meanwhile, Sophie begged to be held at my feet, Bella made pancakes to my right, and Juliette whined to be allowed to pay in the computer. It was a typical chaotic morning at home, nothing like the studious but delicious atmosphere of the French Pastry School. But at the end of the day, the scones were delicious. Moist, exciting, and a definite repeat. My Pastry School Recipe booklet is now finally getting a new set of cooking stains, this time from my home kitchen. Little by little, I’ll make these recipes mine, adding volume measurements to the weights so home cooks without a scale can also benefit from these great recipes, and as my booklet slowly falls to pieces from the accumulation of butter, batter, and chocolate smears, it will gain new life online here. 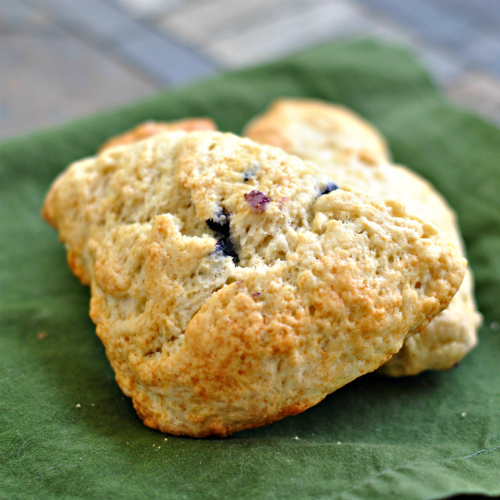 These scones are moist and delicious, the perfect pastry to dip in tea or coffee. Recipe adapted from French Pastry School recipe. Boil the water and steep the tea. Add the raisins and let soak for 30 minutes. Drain and set aside. Preheat oven to 375 degrees Fahrenheit on convection. Place the flour, salt, sugar, and baking powder in a mixing bowl and pulse a few times. Add the butter, sour cream, vanilla extract, heavy cream and eggs to sand the mixture together. Mix until the ingredients come together in a buttery crumb. You shouldn't see any large lumps of butter but try not to overmix as this will make the scones tough. The crumbs should come together when pressed between two fingers. This is different than many recipes which begin with a creaming of the butter and eggs and add the solids later. This recipe begins with a sanding instead of a creaming emulsion. Pour the mixture out onto a Silpat and gently fold in the raisins. Shape the dough into a long rectangle. Roll with a rolling pin to ¾ inch thickness and 4 to 5 inches height. Cut the scones into triangles that are roughly the same size. Make an egg wash by mixing the egg yolk, the extra heavy cream, and a pinch of salt. Brush on top of each scone twice. Sprinkle with turbinado sugar. Bake at 375 degrees Fahrenheit convection for 15 to 20 minutes, until golden brown. Love these scones hot of the oven when the warm fruit juices burst in your mouth. These scream of summer. Recipe adapted from French Pastry School Recipe. Pour the mixture out onto a Silpat and gently fold in the blueberries or other fruit. Cut the scones into triangles that are roughly the same size. Try to tuck in the fruit into the dough as best you can to keep it from burning when cooking. Chocolate chip scones hot out of the oven are a great way to introduce kids to scones. 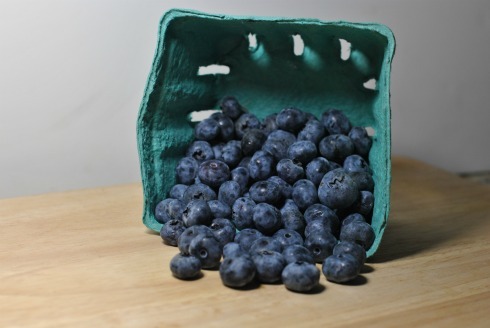 From then, jumping into blueberries will be an easy next step for picky eaters. Recipe adapted from French Pastry School Recipe. Pour the mixture out onto a Silpat and gently fold in the chocolate chips. Shape the dough into a long rectangle. Roll with a rolling pin to ¾ inch thickness and 4 to 5 inches height. Try to tuck in the chocolate chips into the batter so they do not burn during baking. My 2 nephews and my little cousin Jenny loves bluberries and they love my blueberry crisp and lemon blueberry pancakes every time they visit me at home! They will surely love this scones too! Wow! what a mouthwatering recipe you have here. Specially the Blueberry Scones. You made me crave for it.I cant wait to make this one. Thanks for sharing! 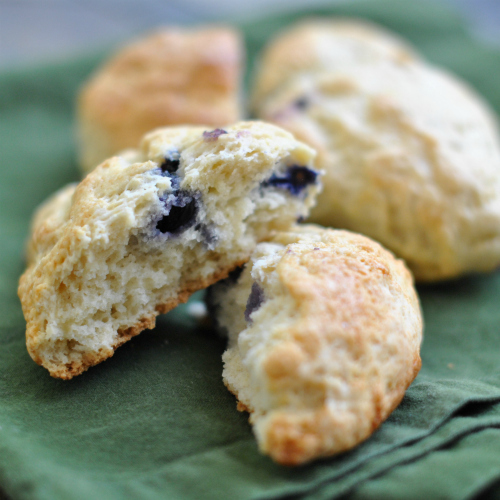 Can I place an order for blueberry scones for Monday? These look amazing! !